What does the Bible say about faith and feelings? Above, we see Henri Vidal's 1896 statue of Cain from the Tuileries Garden in Paris. It depicts Cain just moments after he killed Abel. This epidsode, recounted in Gen. 4:1-16, is just one of many biblical texts concerned with emotion. 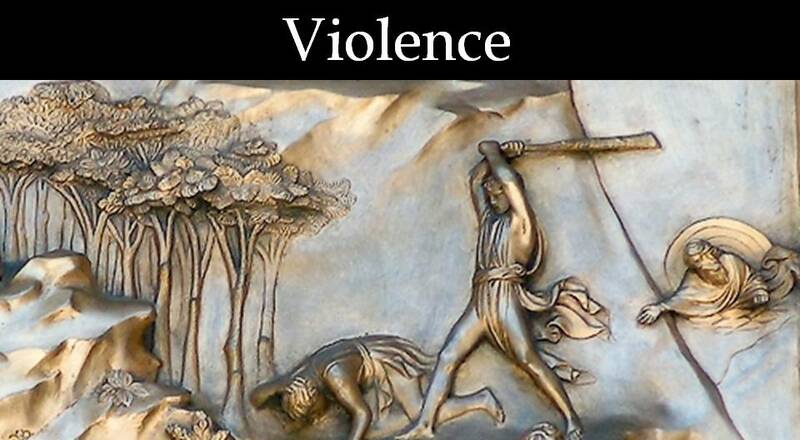 Emotion takes center stage in my book From Fratricide to Forgiveness: The Language and Ethics of Anger in Genesis. The book examines how anger is presented and conceived in the Old Testament. It also provides a close reading of how the book of Genesis returns to the theme of anger time and again, offering readers ways of handling this notorious emotion. I provide a short introduction to anger in Genesis in "Emotion, Embodiment, and Ethics: Engaging Anger in Genesis," pages 146-158 in Bodies, Embodiment and Theology of the Hebrew Bible (ed. Tamar Kamionkowski and Wonil Kim; Library of Hebrew Bible/Old Testament Studies 465 [New York: T & T Clark, 2010]). An even shorter introduction can be found in "Dissertation Summary: 'From Fratricide to Forgiveness: The Ethics of Anger in Genesis,'" Tyndale Bulletin 61 (2010): 157-159. In “Emotions and Faith: The Perplexing Relationship between What We Feel and What We Believe.” @This Point: Theological Investigations in Church and Culture 6, no. 1 (2011), I provide an accessible introduction to the relationship between emotions and biblical faith. In “Praying the Psalms or, How to Use the Bible to Improve Your Prayer Life,” pages 18-31 in Holy Things for Youth Ministry: 13 Practical Sessions (ed. Brian Hardesty-Crouch; Cleveland: Pilgrim Press, 2010), I provide a lesson plan to help youth use the psalms--highly emotional prayers--as part of their prayer life. Two chapters of This Strange and Sacred Scripture, focus on biblical emotion. Chapter 10 examines why Old Testament prayers display so much sorrow and anger. Chapter 11 wrestles with what to make of God's anger. I explore God's emotion in "Different Perspectives on Divine Pathos: An Examination of Hermeneutics in Biblical Theology," The Catholic Biblical Quarterly 69.4 (Oct. 2007): 673-694. A key question I ask is how similar God's emotions are to humanity's. In Review of Deena E. Grant, Divine Anger in the Hebrew Bible (CBQMS, 52; Washington, D.C.: The Catholic Biblical Association of America, 2014), I examine an important recent work dealing with the similarities and differences between divine and human anger. In Genesis 4:7, just before Cain kills Abel, God warns Cain about the dangers posed by his anger. Unfortunately, this verse has proven one of the most difficult to translate. In "At Sin’s Entryway (Gen 4,7): A Reply to C. L. Crouch," Zeitschrift für die Alttestamentliche Wissenschaft 124, no. 3 (2012): 409-415, I argue that the phrase is best rendered, "Is it not true that if you do good, then a lifting up? But if you do not do good, then at sin’s entryway is a creature crouching down. Its craving is for you, but you must rule over it." In Review of Robert C. Roberts, Spiritual Emotions: A Psychology of Christian Virtues, Edification: The Interdisciplinary Journal of the Society for Christian Psychology 4 (2010): 79-80, I review a volume by a pioneer in the field of Christian emotion. I also serve as co-chair of the Society of Biblical Literature's Consultation on "The Bible and Emotion" with New Testament scholar F. Scott Spencer. 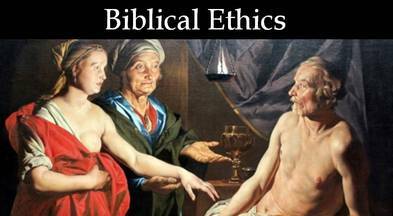 Biblical emotions often call for ethical reflection. Anger, for example, often leads to violence.